As summer comes to an end, the winter season is inevitably not far off. Whether you find the winter season to be a blessing or a pain, there is no question that it is the most difficult season to drive in. In addition to being a hassle to drive in, it is also the harshest, most demanding season on a car, which is why it is necessary to prepare your car accordingly. The following is a list of instructions you should take to prepare your car for the winter season. 1) Have a set of four high quality winter tires installed. Thanks to their deep tread and soft compound, winter tires are vastly superior to all-season tires for winter driving, and should be installed regardless of whether your car is rear-wheel drive, front-wheel drive, or all-wheel drive. They should ideally be installed on their own set of steel rims, and checked for proper balance, alignment, and tire pressure. 2) This is a good time to have your car thoroughly checked over as problems tend to become more apparent when winter rolls around. Have the belts, hoses, brakes, and suspension all checked for wear and proper function. Road salt and slush can take their toll on some of these components, which is why they should be inspected carefully. 3) Make sure all the vital fluids are clean and topped up. The coolant should be checked for strength and quality to ensure the cooling system will function properly. If the coolant is more than 5 years old, consider a full cooling system flush. The windshield washer system should be filled with freeze resistant windshield washer fluid and the windshield wiper blades should be inspected and replaced if necessary. 4) If your vehicle is due for an oil change, perform a full oil and filter change. Generally this should take place approximately every 6 months or 8,000km, however, the interval does vary from vehicle to vehicle. Follow the severe maintenance schedule in your vehicle’s owner’s manual when in doubt. Synthetic oil is recommended over mineral oil in most vehicles because it helps ease engine starting on those cold mornings, as well as improves overall engine protection. 5) The cold temperatures of winter put a lot of strain on your car’s battery. 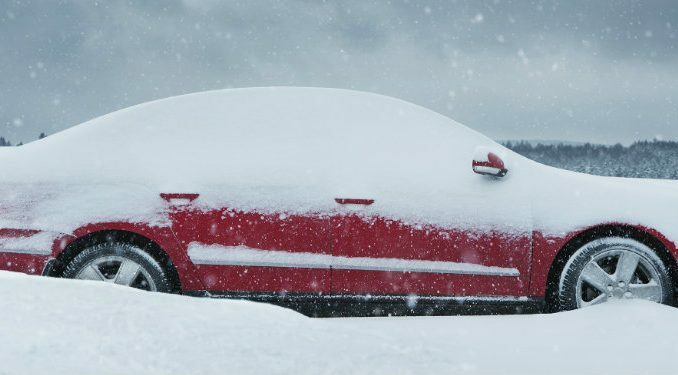 No one wants to get stuck in a cold parking lot with a dead battery, which is why you should have the battery checked and load tested for proper functioning. Also, have the charging system, aka the alternator, checked to make sure that it is charging the battery properly. As a general guide, car batteries usually last 4-5 years, so consider having your battery changed if it is older than that. 6) Make sure that all the instruments, lights, electronics, and heater controls are all operating properly. 7) It is a good idea to prepare for winter emergencies and carry a compact shovel, road salt, a bottle of windshield washer fluid, and a first aid kit and some water when you know you will be driving in bad weather. Drive safe and make the best of the season!